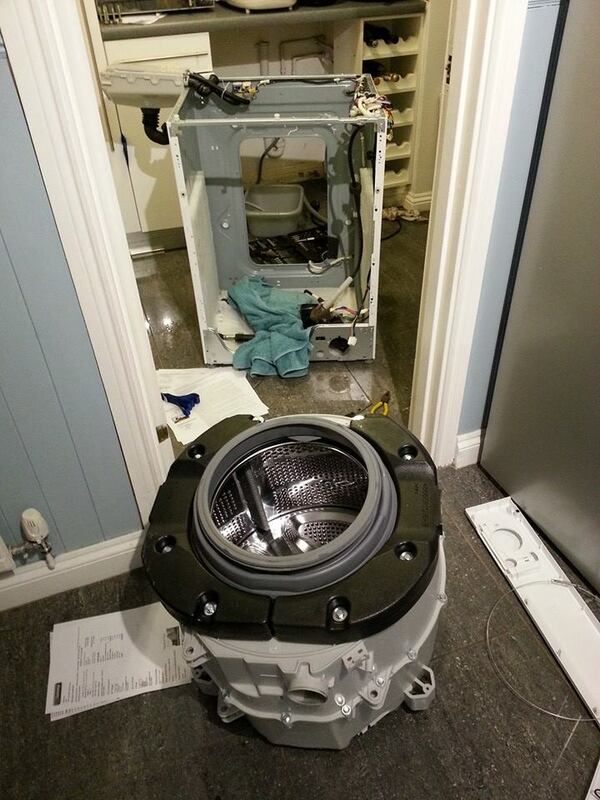 So after many MANY hours of hard work I managed to disassemble our washing machine, replace the bearings and put it all back together again. This made me immensely happy as for £30 and about 6 hours of my time I thought I had brought our washing machine back to life and saved us many pennies. Unfortunately whilst everything seemed to work fine when it was doing its wash cycle, once it came to doing it’s spin it sounded VERY unhealthy and I ended up unplugging it. Lesson learned that I am not a washing machine repair man and we ended up buying a new washing machine. On the plus side I found out a friend of my mum’s IS a washing repair man and so he is going to collect it and strip it down for any useful parts and recycle the rest, apparently replacing the bearings on an LG direct drive machine is not generally a DIY job and he was amazed I even attempted it.